TDWT Elimination passports. The elimination passports of TDWT. (Alternate) because Alejandro won.. Wallpaper and background images in the 孤岛生存大乱斗 club tagged: total drama world tour. 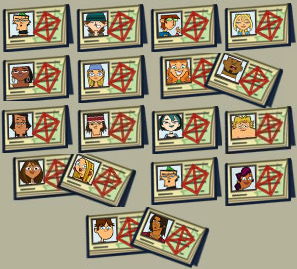 The elimination passports of TDWT. (Alternate) because Alejandro won. Where's Geoff,Trent,Justin,Beth,Eva,Sadie,& Katie?And why is Duncah here twice? 1. Justin was replaced by Alejandro. 2. Geoff, Trent, Beth, Eva, Katie, and Sadie were already eliminated in the CMTDA Reunion Movie. 3. Duncan is there twice because he quit in his first elimination.